Horror and adolescence go hand in hand for many reasons, which explains why teens tend to thrive on horror films and books more than any other demographic. Adolescence is a time of great change for kids – a transitional period between childhood and adulthood. No, teens are not young adults until they reach the age of eighteen (despite the media obsessively referring to 11 year olds as “young men” or “young women”), but their brains and bodies are changing at such a rapid pace that these years teeter between exhilarating and terrifying on a daily basis. The adolescent brain has one foot firmly planted on the accelerator while the other foot struggles to find the brake. Teens seek out thrilling experiences that pump the adrenalin and pound the heart. Hence the love of amusement park thrill rides, fast driving, and the heart-pounding experience of a good horror film or book. But the “thrill gene,” as it’s been loosely dubbed, in teens isn’t the only correlation to horror, or the only reason teens love the genre. Fear is a HUGE part of adolescence, and teens stress over how best to manage that fear. What fears do teens face on a daily basis? Depends on where they live and go to school. For many, the fear is physical. Will they make it through the school day without getting bullied? Will they make it home without getting jumped? Will they fail yet another class and have to take it over? Will dad be drunk again tonight? Will mom tell them they’re losers? Will there be any food for dinner or will they have to go hungry until school the following day? These are but a few of the real fears no kid should have to live with, but far too many in America do. But, above and beyond these issues, every adolescent is afraid to be different, to stand out from their peers, to not fit in. This is a palpable fear that guides almost every decision teenagers make. While some parents may encourage kids to embrace their differentness, most want their kids to be “mini-me’s” and conform to the “accepted societal norms” so they (the parents) don’t look bad in the eyes of other adults for having “that weird kid.” Such parents are embarrassed to have a disabled child, or one who isn’t good at sports, or who doesn’t get all A’s in school or who’s LGBT. By the time the adolescent brain kicks in, the wiring is geared toward socialization and social acceptance, so teens squelch their innate differentness in order to fit in. They live in fear every day that the mask they wear will be knocked off, the real “them” will shine through, and they will be ostracized as a result. So they dress the same, talk the same and act the same as their peers out of fear that their real selves will be rejected. How does this fear relate to horror? Look at the huge number of horror films that feature a kid who’s odd or different or possessed or threatened by nightmares that expose his secrets to the world. Look at how many films or books that feature a damaged character that hides behind a literal mask. 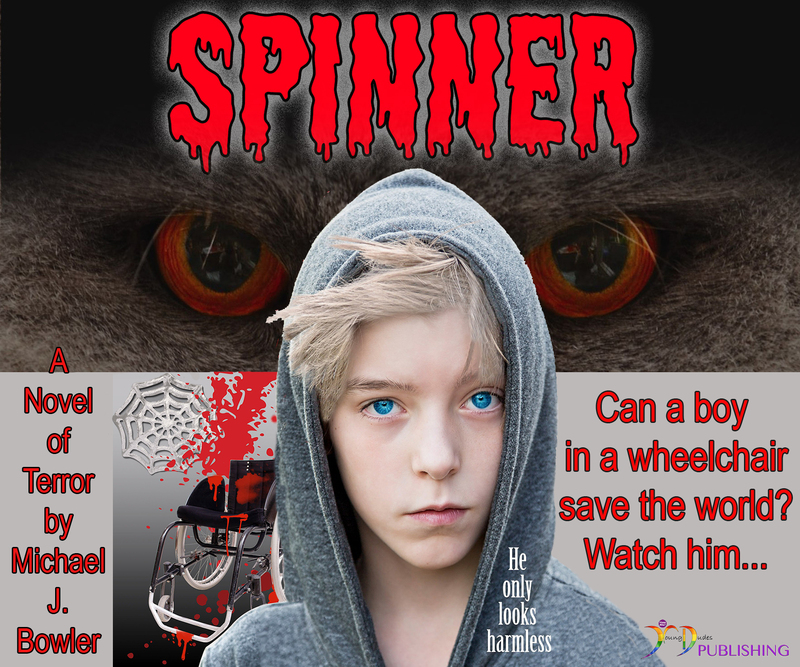 Horror often features the outsider kid, the one nobody likes because he or she is “different” as the hero, the one who saves the day when his or her “conforming” peers are getting knocked off one by one. The plethora of possession movies speak to teen fears of having someone inside themselves, i.e. the real human being, revealing itself to the world and not being accepted. For LGBT youth, this fear is profound because they know how society consistently rejects kids like them for being born “different.” I supervised the GSA at my high school and, sadly, most of those kids were more afraid of their parents than their peers. Many kids wanted to attend meetings or functions, they’d tell me in private, but were afraid other kids would turn against them or, worse yet, inform their parents. Special Education (SPED) kids harbor a similar fear. As a teacher to disabled students, I know from experience that their greatest fear is for peers to find out they’re SPED. I know the fear – I’ve lived with hearing impairment my whole life and there was not a single kid like me at any grade level up through and including graduate school. I never told peers that I couldn’t hear clearly. I just laughed if other kids did, even though I didn’t hear the punch line, or I stayed silent and nodded if I didn’t clearly understand something. I shied away from group sports or dances or activities that were loud and had many kids talking at once because I was afraid I’d have to admit my weakness and then get mocked for it. There was never a day when I wasn’t reminded that I was different. So it was no surprise that even as a child I loved horror films and books. For me, seeing people manage fears that were greater than mine helped me deal with my own. These stories also raced my heart and fueled my imagination and inspired me to be a writer when I grew up. Horror is a thrill ride teens hope they never have to live through in real life, but they thrive on the adrenaline rush of being chased by the guy with the chainsaw, or having an exorcism performed on them, or having a guy with blades for fingers reach out of their dreams to try and kill them. Their hearts pound, blood rushes, and then they get to walk away unharmed. For these very reasons, the best horror stories feature teen protagonists. Teens are always more willing to take risks adults wouldn’t – like opening that cellar door to see what’s down below, or sneaking into a graveyard to dig up graves or playing with that Ouija board that they know from countless films will lead to disaster. Teens are risk-takers, and horror stories are about managing fear while taking extreme risks, the kind that can often be deadly. 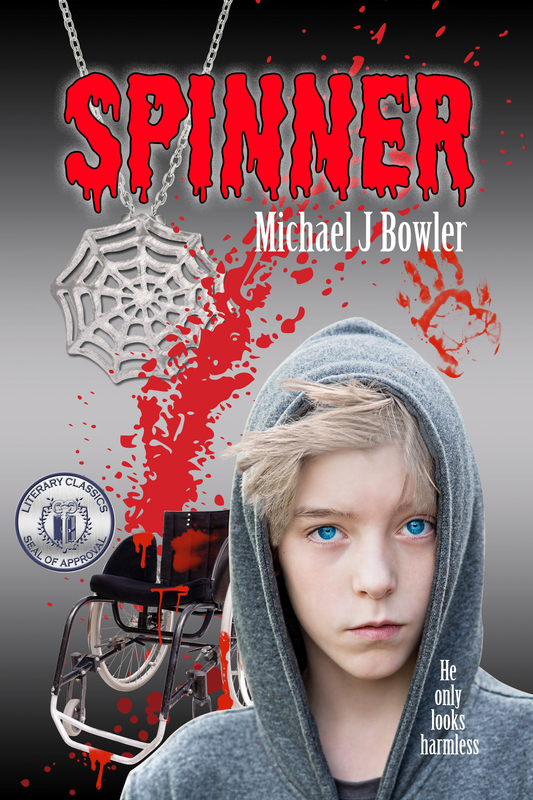 Spinner features a cast of teen characters with disabilities who have to solve a centuries-old mystery, as well as a string of murders quite possibly committed by one of them, all without the ability to read or write or, in Alex’s case, walk. Like gay kids and bullied kids, these characters face fear every day just by going to school where they know they will be mocked and ridiculed for being “different.” But being different doesn’t stop them from bonding together and risking their lives for each other. At the heart of any good horror story is friendship between characters who have to make life and death choices that the viewing audience, or the reader, hopes never to have to make in the real world. Horror teaches kids valuable lessons without being dogmatic or preachy. Some lessons are complex, like how the smallest choices can have the biggest consequences, while others are minor – like don’t go into a dark basement alone when you hear sounds down there.